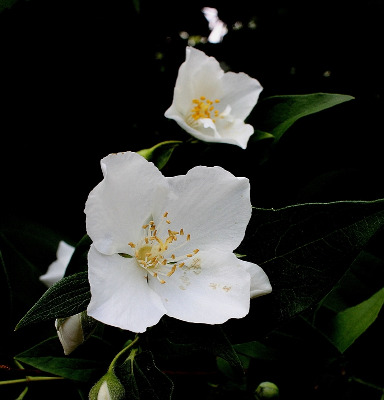 Native to the southeastern US, but cultivated and escaped to thickets, banks of ditches and streams, and roadsides. Apparently our most common escaped Philadephus species, first collected by D. E. Gill in Washtenaw Co. in 1967. MICHIGAN FLORA ONLINE. A. A. Reznicek, E. G. Voss, & B. S. Walters. February 2011. University of Michigan. Web. 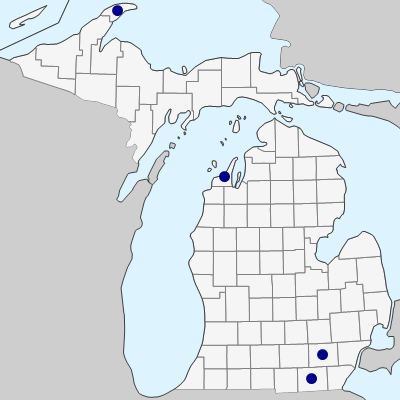 April 24, 2019. https://michiganflora.net/species.aspx?id=1445.